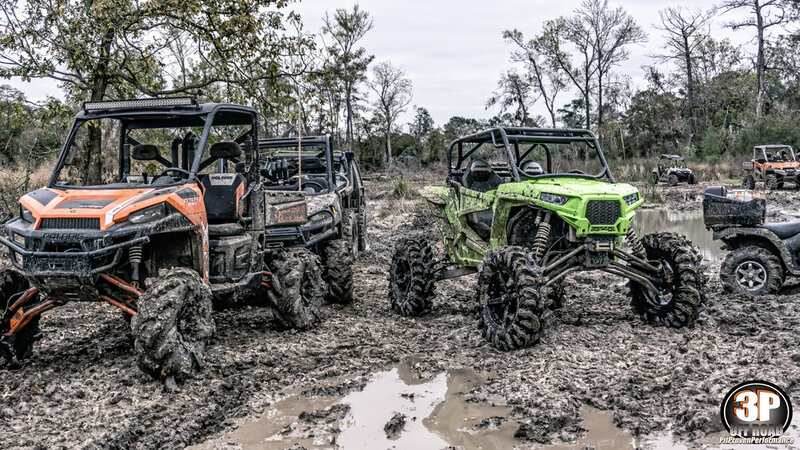 3P OFFROAD BEGAN WITH TWO FRIENDS IN A TWO-CAR GARAGE WITH A HOBBY AND MUTUAL LOVE FOR THE ATV INDUSTRY. WORD OF MOUTH IN A DEMANDING MARKET TRANSFORMED 3P INTO A FAST GROWING COMPANY OPERATED OUT OF A 3500 SQUARE FOOT FACILITY IN TOMBALL, TEXAS. HERE AT THE SHOP, WE KNOW BIKES AND THE FACTORS THAT MAKE THEM ALL-OUT BEASTS ON THE TRAILS. 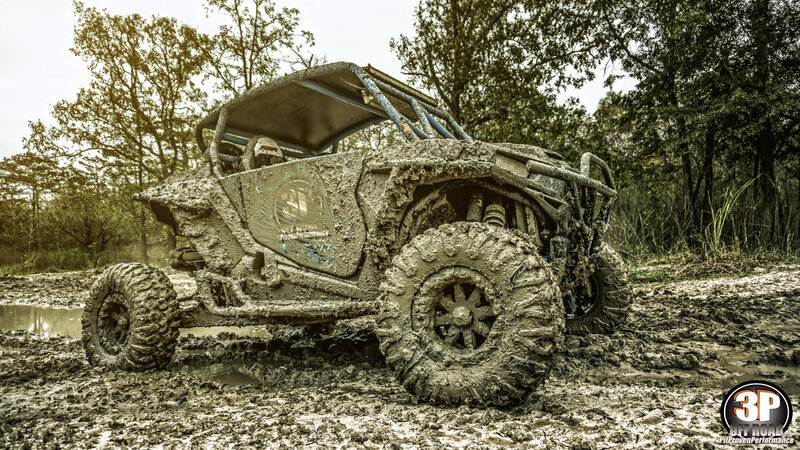 WHETHER YOUR LAST RIDE TOOK A TOLL ON YOUR BIKE Or YOU WANT A COMPLETE CUSTOMIZED MAKEOVER- 3P IS YOUR ONE-STOP SHOP FOR ALL YOUR CAN-AM AND POLARIS ATV/SIDE-BY-SIDE NEEDS. 3P OFFROAD’S LOGIC IS CUT AND DRY- A STOCK ATV ISN’T GOING TO HOLD UP TO WHAT YOU BOUGHT THE BIKE TO DO. BEFORE YOU PLAN A RIDE, MAKE AN APPOINTMENT WITH 3P TO ENSURE YOUR BIKE LASTS THE ENTIRE WEEKEND. WE HAVE ALL THE AFTERMARKET PERFORMANCE PARTS YOUR BIKE COULD EVER NEED; WHEELS, LIFT KITS, SNORKEL KITS, CLUTCH AND TUNING SERVICES, LIGHT BARS AND FULL BLUETOOTH AUDIO SYSTEMS. 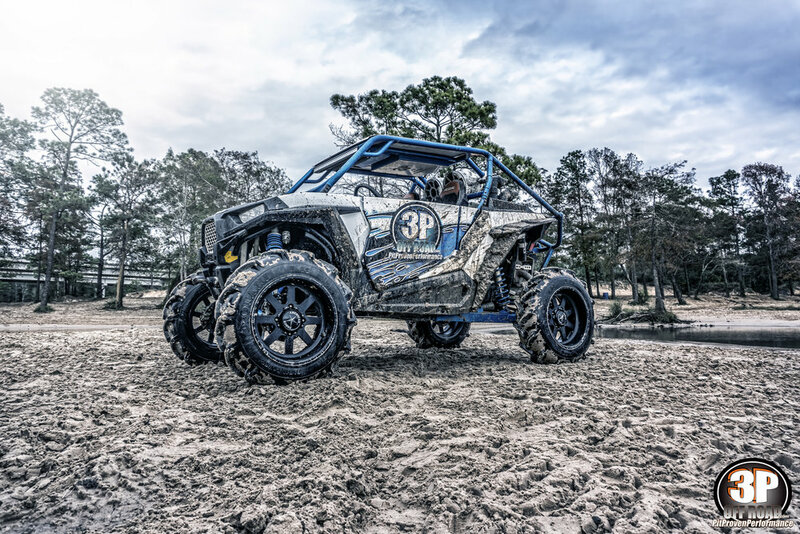 IN ADDITION TO AFTERMARKET PARTS, 3P OFFROAD SPECIALIZES IN COMPLETE CUSTOM BUILDS, OFFERING RENDITIONS SUCH AS IN-HOUSE CAGES THROUGH OUR FAB SHOP. TO FURTHER PRODUCE A TRULY CUSTOM BIKE, WE OFFER A WIDE RANGE OF POWDER COATING COLORS TO MAKE SURE YOUR BIKE IS ONE OF A KIND. 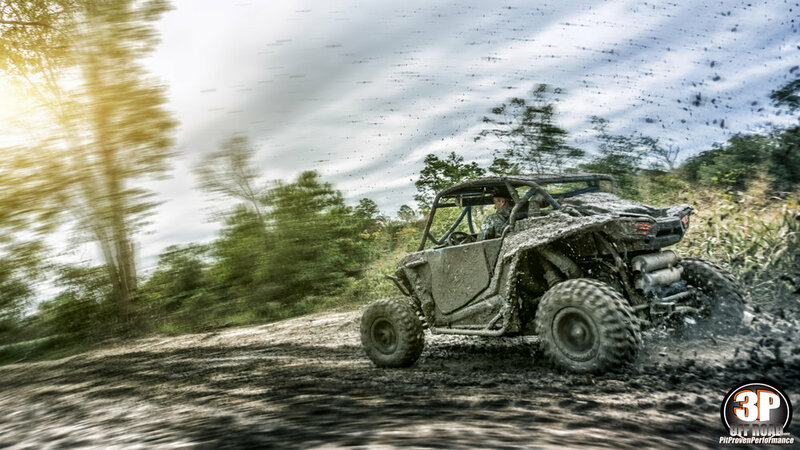 3P WAS BUILT ON A FOUNDATION OF KNOWLEDGE AND EXPERTISE OF ATVS AND THEIR CAPABILITIES ON THE TRAILS. WHETHER YOUR BIKE IS STOCK OR HAS AFTERMARKETS PARTS- IT IS VITAL THAT EVERY BIKE RECEIVES REGULAR MAINTENANCE TO ENSURE IT UPHOLDS TO INEVITABLE WEAR AND TEAR. WE OFFER A WIDE VARIETY OF REPAIR SERVICES AND GUARANTEE TO GET THE JOB DONE TO THE HIGHEST STANDARD. WE KNOW FROM EXPERIENCE THAT A BIKE CAN BREAK WHEREVER AND WHENEVER IT WANTS TO TAP OUT, BUT UNDERSTANDING AND ASSESSING THE PROBLEM IS IMPORTANT WHEN YOU ARE OUT RIDING. A CORRECT DIAGNOSIS IS THE DIFFERENCE BETWEEN BEING ABLE TO CONTINUE A RIDE OR SHUT IT DOWN BEFORE YOU END UP WITH A BIGGER PROBLEM AND A BIGGER BILL. WE OFFER A 15-POINT IN-HOUSE INSPECTION THAT COVERS ALL ELEMENTS OF A BIKE’S PERFORMANCE- AN ESSENTIAL TASK BEFORE HEADING OUT TO A PARK AND AN EQUALLY IMPORTANT ASSESSMENT AFTER ANY RIDE. AIR FILTER, ALL FLUIDS, ALL LIGHTS, RADIATOR, FAN, EXHAUST, WHEEL BEARINGS, BALL JOINTS, BUSHINGS, BRAKE PADS, BATTERY, TIRES, ELECTRICAL SYSTEM, RADIO AND SUSPENSION. 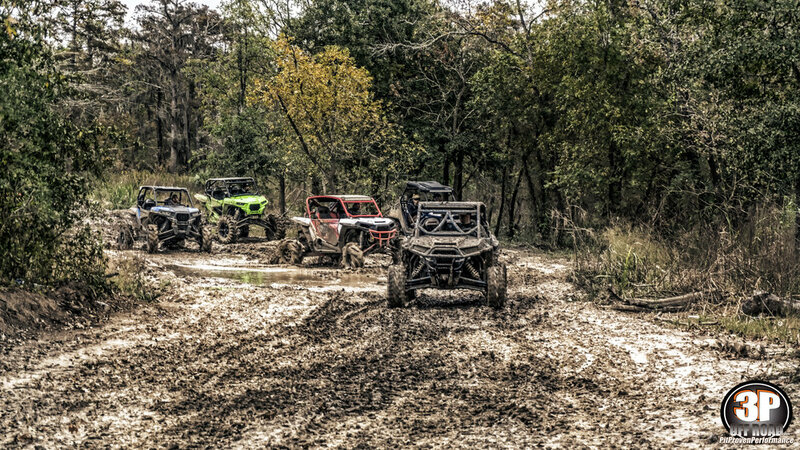 Josh Herzing, a Cypress native, is the owner and operations manager at 3P Offroad. His passion for motor vehicles is embedded in his DNA and was launched when he hopped on a four wheeler for the first time at 2 years old. From there, his hunger grew and led him into motor cross racing at the age of 5. His dedication to the sport landed him as an award winning racer in the Texas State 16 and under division competition when he was just ten years old. AS soon as Josh was able to take his passion to the streets, he got his first GSXR 600 street bike and later hit the mud with his first side by side. 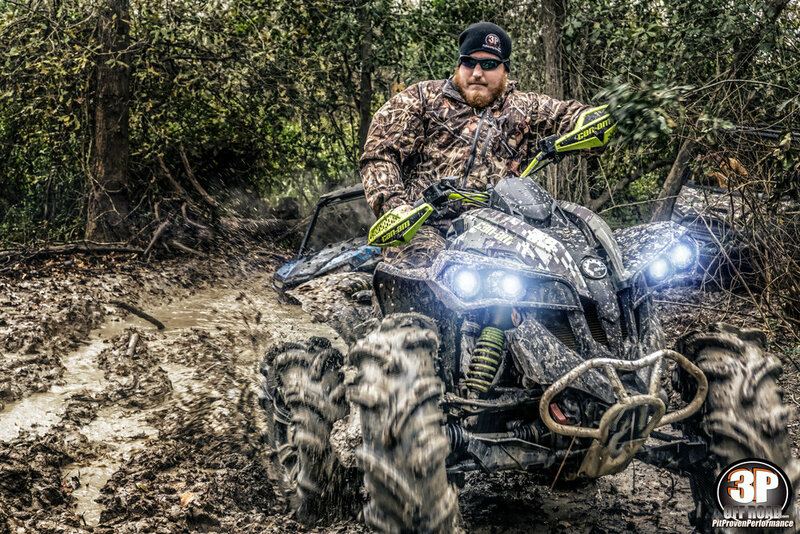 His abundance of experience with each different ride ultimately paved the way to his career with 3P Offroad. When josh met Russell in 2011, they quickly formed an alliance with similar interests including the desire to build a service based operation in the ATV world. Josh helped to broaden 3P’s range of services from strictly tuning and clutching, adding an additional department of maintenance and repair. Josh’s knowledge and skill provides the company with a solid foundation and a trusted reputation to get each job done to the highest standard. Travis Herzing, also born in Cypress and unmistakably Josh’s little brother, is 3P’s shop foreman. He oversees all aspects of production in the shop and dedicates himself to each bike; ensuring jobs are done correctly before they get back to their owner and hit the trails. Like Josh, Travis started riding and filling any void of adrenaline rush at a young age. He began racing dirt bikes when he was just 5 years old and carried a passion for the industry through his school years and beyond. On the weekends, he would build, modify and fix whatever motorized machine he could get his hands on. The second his project was up and running, he would venture off with friends on land around Cypress Creek. 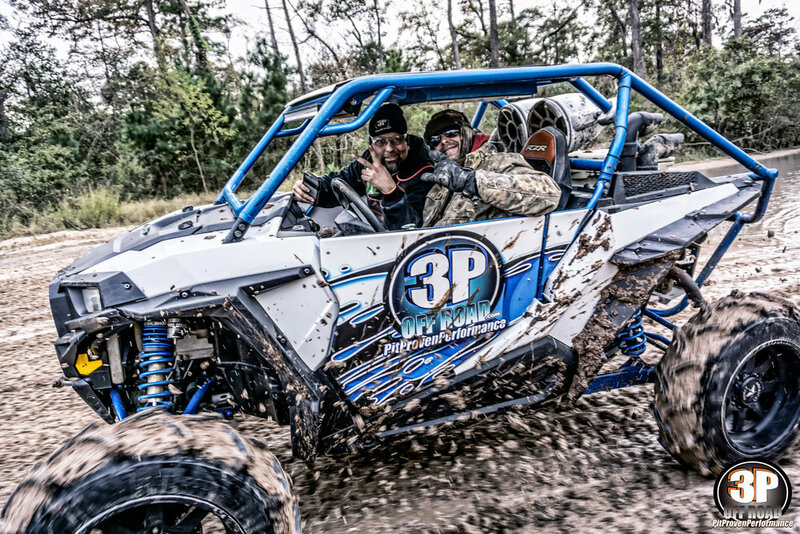 Russell Coker, infamously regarded as Mr.Clutch, was born in Rosebud, Texas and is one of two founders of 3P Offroad. He is renowned for his skills in both clutching and tuning, a rare calibration that enables 3P to set the standards high in an up and coming industry. Providing both services in one shop is a rarity on its own. The factor, alongside Russell’s mix of expertise and high performance equipment, has enabled him to dominate the game. 3P Offroad, formerly known as Pit Proven Performance or just 3P, started in 2007 as a race team that tore across states along the southeast coast to Georgia. 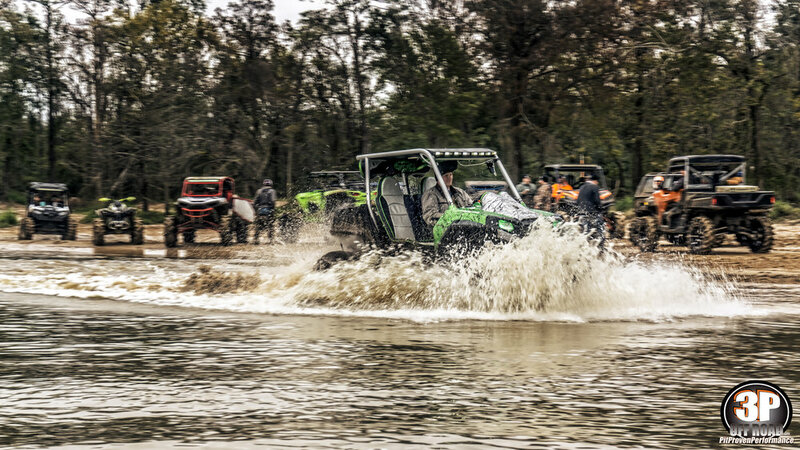 For two years, the team led divisions with the help of their experiences and dedication to clutching before it carried a strong aftermarket support. Russell and his team would leave after work on a Friday and hustle to events that were up to 800 miles away, participate in the races, clean up and head back home. 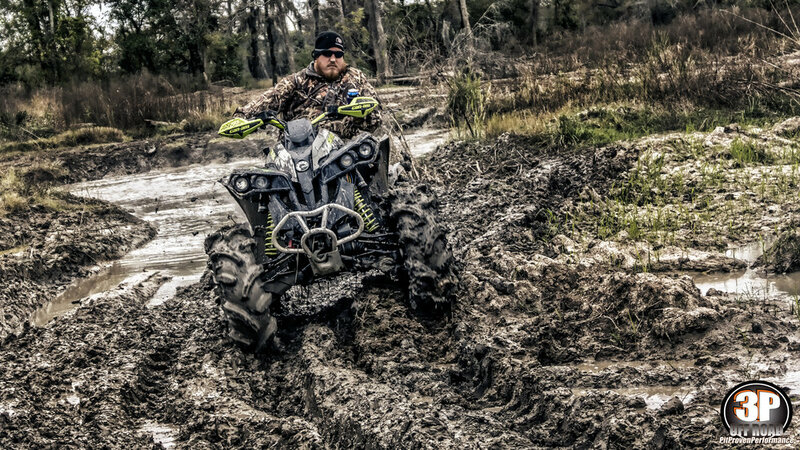 On the weekends between races, you could find him testing clutch set ups at an ATV park. They used every possible resource in order to experiment the outcome of each variable from grinding weights, cutting helixes, and mixing springs. He would spend hours applying small tweaks to each run in order to manufacture the perfect product. When competitive racing ran dry with the inflation of gas prices, Russell began to feed his passion for clutching and tuning by helping friends and racers improve their bike’s performance on the side. What began as a sport led to a hobby that would soon be the roots of his partnership with 3P Offroad and the service driven empire it inevitably became. 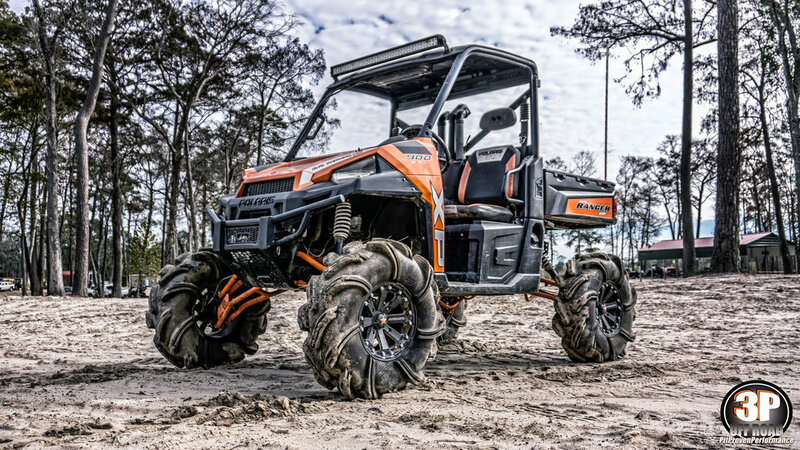 Now, Russell utilizes his ever growing knowledge and skills to create a competitive advantage in the performance ATV and side by side market.